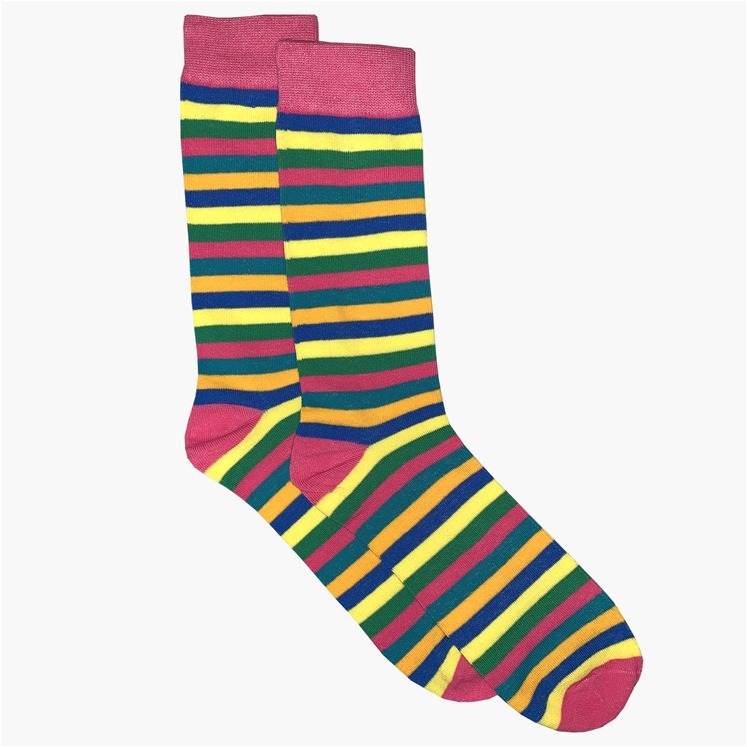 Vibrant mens stripe sock from Gresham Blake. Multicoloured stripes with bright pink tipping. Onesize fits all.